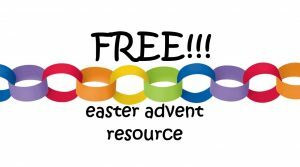 Home / Babies / Easter Advent Resource from LPKids! Hello everyone, Jessica here! I am the youth and kids ministries director at LifePoint. As the Easter holiday season has been approaching, I have been thinking about ways in which we could minister to our children and their families. I wanted to come up with an activity that was hands on, that they could take home and keep looking to as they approach Easter Sunday. Thinking back to Christmas, I thought about how many of us countdown to Christmas with an advent calendar. 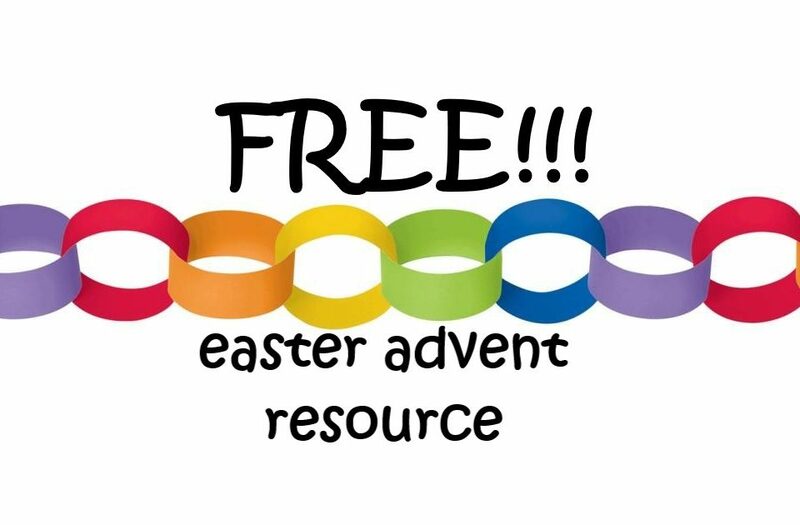 Now, surely there must be a resource out there that was similar, but for Easter. I searched and googled, got lost repeatedly on Pinterest, but the closest thing I could find to what I was looking for was for the 40 days of Lent. While I personally love the lenten season and observe it myself, it isn’t something most Baptists do! These resources just weren’t quite what we needed. I knew I would have to come up with this on my own. Once my husband and Pastor Jimmy decided upon an Easter theme for 2019, the idea hit me! If as a church we will be focusing on Jesus as our chainbreaker this Easter, then surely we could do that in LPKids! 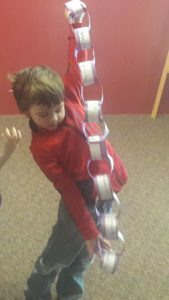 This is how our advent for Easter became a paper chain! The instructions are simple: print off the daily guide resource and cut the daily resources apart. Then, take 15 strips of construction paper and glue each day to a strip of construction paper. Once they dry, loop each strip, connecting with a stapler or another fastener, linking each chain in order (day 1, day 2, day 3, etc., through day 15). Then the fun begins! 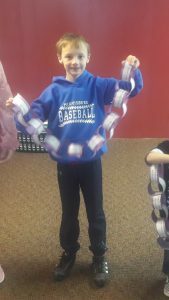 Beginning on day 1 (which is today, Sunday, April 7) and going daily through day 15 (Easter Sunday) set aside some time with your kiddos to pull off the chain for the corresponding day and complete the activity! Some days there will be scripture passages to read together – these passages will not just journey through the Easter story, including Palm Sunday, but will also explore other beautiful truths of who Christ is and what He has done for all. Other days have prayer prompts with suggestions for purposeful prayer as we draw near to Easter. Of course, the hope is that these prompts will spark joy in your hearts, build intentional family time, and create conversation within your homes that draw all of your hearts nearer to Christ’s. We’re happy to offer this resource for download and reproduction for whomever wishes to join along – just click here! If you have any problems downloading this resource, please feel free to reach out to me at jessica@lifepointcommunity.org and I’ll send it to you directly. You *should* be able to customize it as well. So if there’s a prayer focus you want to make more personal, by all means please make it yours! If you haven’t found a church to call home yet, we would love for you to join us! Can’t make it on Easter? No problem! We meet each Sunday at 11:00 a.m. – all are welcome.